A new international trailer for the upcoming DC Comics film, Suicide Squad, has been released online. The first trailer was released following its Hall H debut at San Diego Comic Con in July but now, almost a year later, the film is just under a month away and David Ayer and company have cut an all-new look at the anti-hero ensemble. The new international trailer, however, does not include any footage which hasn't been seen yet. Directed and written by David Ayer (Fury) and features an all-star cast: Will Smith, Margot Robbie, Jared Leto, Jai Courtney, Joel Kinnaman, Cara Delevingne, Viola Davis, Adewale Akinnuoye-Agbaje, Adam Beach, Jay Hernandez, and Karen Fukahara. "When you researched the villains in the DC comics, everybody’s been through the assassin’s drill of training to kill. My skill is the ropes. Give me a rope and I can fight with it, I can tie you up. They were teaching me a move where if you try to throw a punch, I can use a rope to grab that punch, put the rope around your neck and just drop my weight and it snaps your neck. There’s a lot of martial art skills you can use with the rope and it was pretty cool, man! 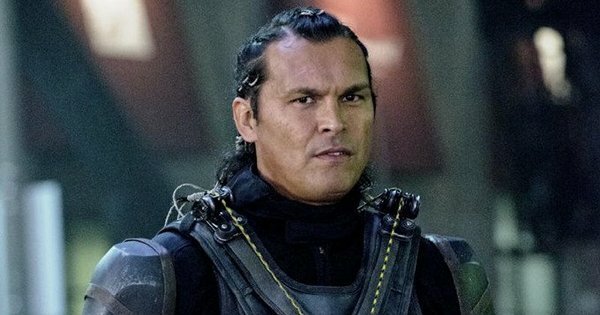 And I taught my daughter how to use certain moves with the ropes so if I reach out to grab my daughter who’s seven years old, she can trap my fists and spin me around and I can’t move"
Responses to "Adam Beach Upcoming Movie: New Suicide Squad International Trailer Released"